After joining the Revolutionary Army, Sabo was personally trained by Monkey D. Dragon and attained tremendous physical prowess by adulthood. 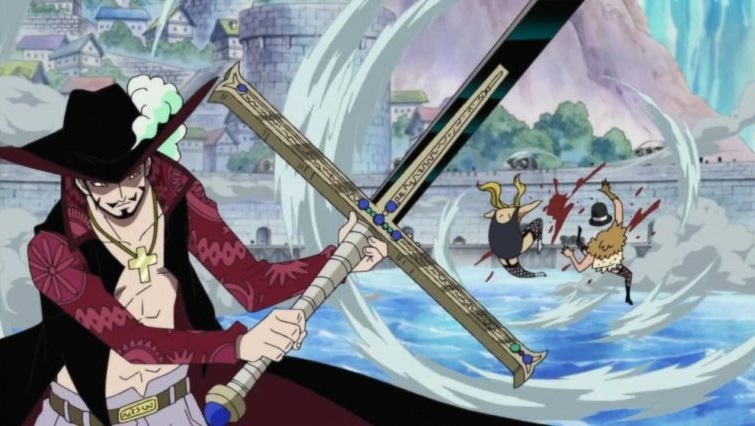 Sabo ate the Mera Mera no Mi, which originally belonged to his brother Ace before his death. 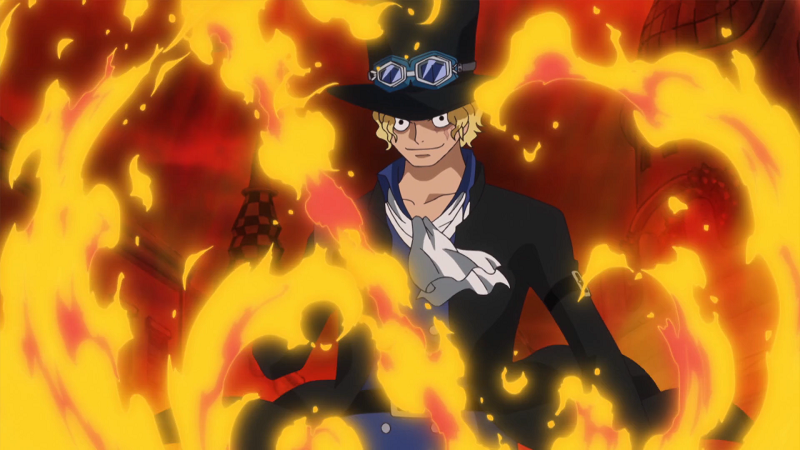 With it, Sabo is able to become the element of fire and control the flames from his body at will. He can utilize and has shown mastery over two types of Haki: Armament Haki and Observation Haki. Sabo could fight on equal level with Fujitora, a Marine Admiral and an immensely powerful swordsman, and emerged with only a few bruises. Later, Sabo single-handedly defeat Burgess, an immensely powerful wrestler who is one of the most powerful members of the Blackbeard Pirates with only minimal effort. Marco ate the Tori Tori no Mi, Model: Phoenix, an immensely powerful mythical Zoan-type of Devil Fruit which enables him to transform into a phoenix. The additional powers this devil fruit grants may be considered similar to those of Paramecia (the somewhat “superhuman” power that affects the user’s body: regeneration) and Logia (the generation of blue phoenix flames). This Devil Fruit gives Marco increased physical attributes (as is with all Zoan types) and the rare ability of flight, as well as the possibility of launching aerial attacks. 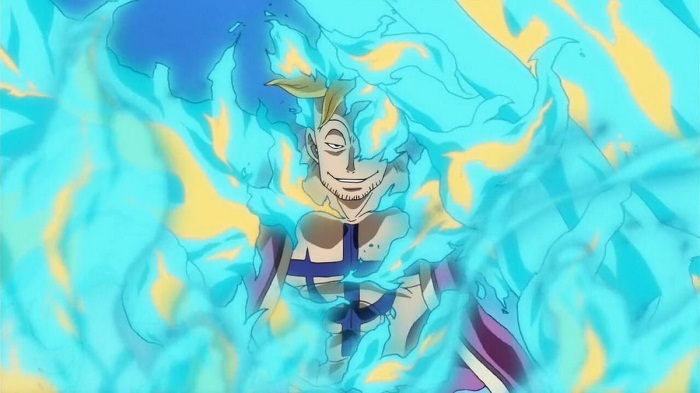 The fruit’s greatest attribute, however, is that Marco can recover from any damage he accumulates in his human form by reverting to his phoenix, or hybrid phoenix form, or just by summoning blue flames around his body. These blue flames are not hot and they do not burn or spread like normal fire; instead, they are what allow him to heal, and are referred to as the “Blue Flames of Resurrection”. Furthermore, the healing properties of his blue flames can also be used to treat other beings, albeit to a more limited extent, allowing Marco to act as an efficient doctor. Marco is also capable of using Haki proficiently. I would say he is a master in Busoshoku Haki and uses that rifle (armament the bullets) as both a ranged weapon and used as a club. He is capable of moving and attacking at the speed of light, and all of his attacks are based on the element of light, such as firing energy blasts from his fingertips or feet with extreme accuracy and precision. His power is very destructive, causing huge explosions and can easily destroy buildings. He also has the ability to reflect himself, essentially moving from one location to the next at the speed of light. 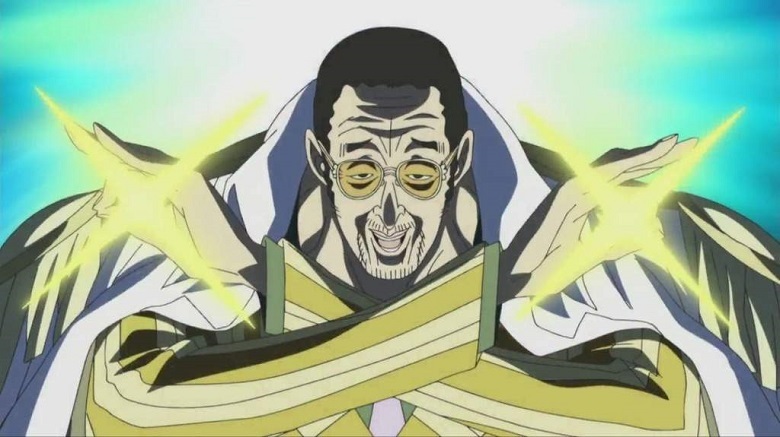 Due to this fruit’s power, Kizaru is possibly the fastest man in the world. 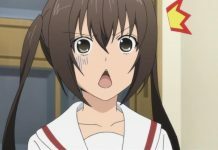 Ryokugyu is a Marine Admiral. Not much is known about his abilities, anyway he was stated by Doflamingo to be a “true monster” in terms of power. Ryokugyu has claimed to not have eaten in three years, a feat normally impossible for a human to do, and he still has the strength to move around and fight the Revolutionary Commanders. Fujitora is a Marine admiral. In terms of combat strength, he is considered to be one of the strongest fighters within the entire World Government structure. Fujitora possesses an unknown Devil Fruit power that grants him the ability to manipulate gravity around a chosen location at will by sending gravitational forces. Fujitora can manipulate gravitational forces by channeling his Devil Fruit ability through his sword. He can send the gravitational forces by swinging or just simply moving his sword. 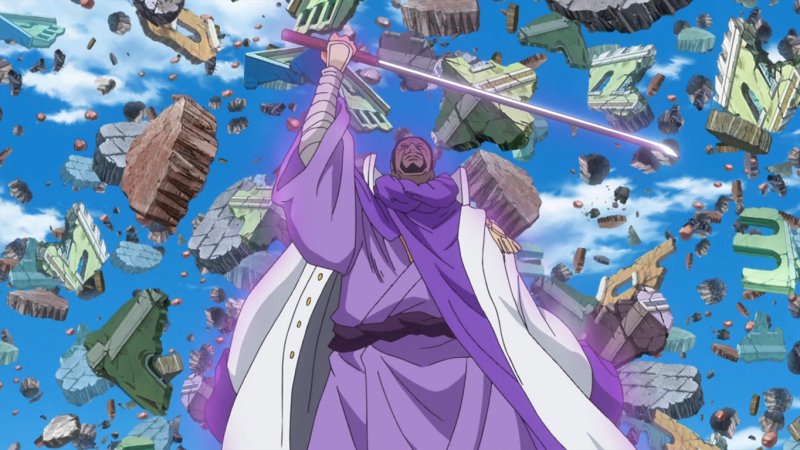 Fujitora has also shown mastery over two types of Haki: Busoshoku Haki and Kenbunshoku Haki, which he uses to compensate for his blindness in battle. Kong is the World Government Commander-in-Chief. He was the Fleet Admiral of the Marines at the time of the Battle in Edd War twenty-seven years ago and at the time of Gol D. Roger’s execution twenty-four years ago. Due to his muscles, his former rank in the Marines, and his numerous scars, he could be considered rather strong, however he still has yet to reveal his powers in the series. Kuzan, better known by his epithet Aokiji, is a former Marine admiral. After the time-skip, he became affiliated with the Blackbeard Pirates. Kuzan has the powers of the Hie Hie no Mi, a Logia Devil Fruit that allows him to control, create, and become ice. He can create enough ice to cover a giant, a Sea King or several square miles of ocean within mere moments. This fruit is so powerful that his usage of it during his ten day battle with Akainu permanently changed the weather on one side of Punk Hazard, turning that side into a frozen wasteland. 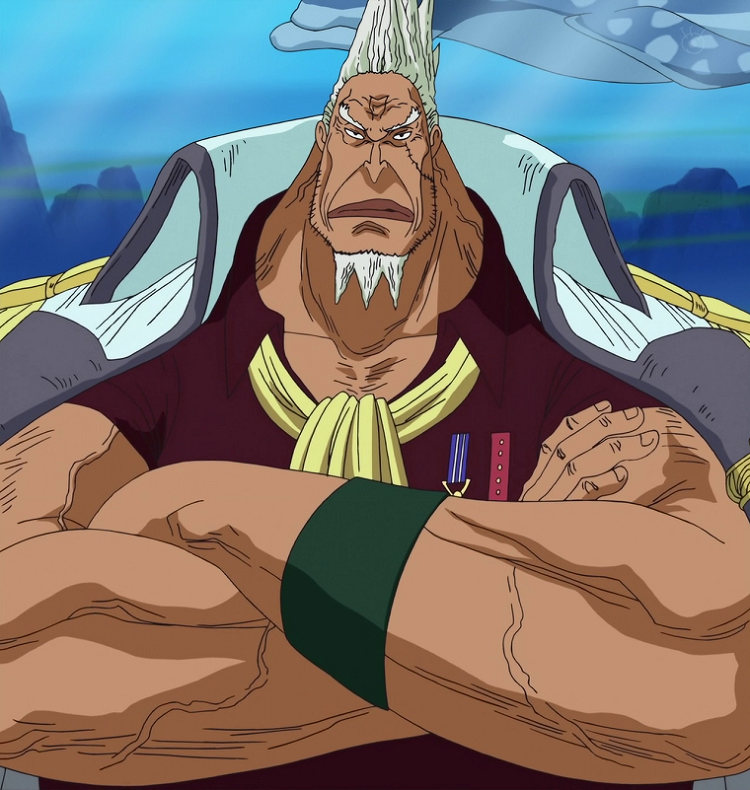 Sengoku was the fleet admiral of the Marines pre-timeskip, succeeding Kong and preceding Akainu. He was also one of the major figures along with Whitebeard, Shiki, and Monkey D. Garp during the times when Gol D. Roger was still alive, and still continues to be in the present, even after his retirement from the Marines. 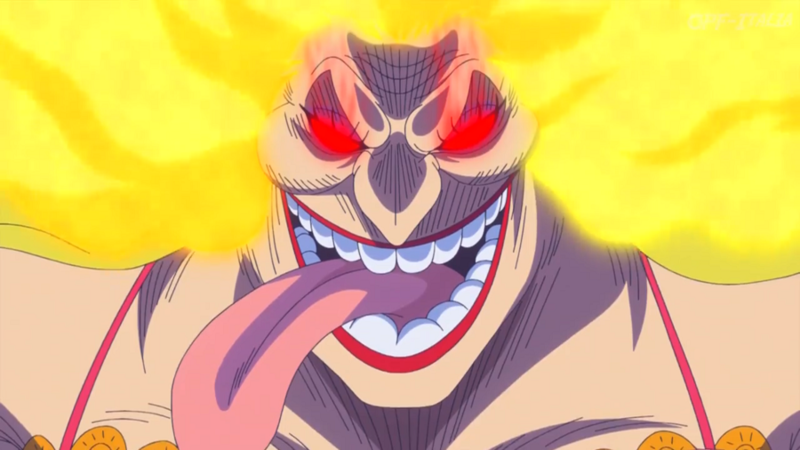 Even without his Devil Fruit powers, Sengoku has great strength and speed; he is also shown to have a strong will as he was able to resist Luffy’s unconscious burst of Haoshoku Haki. 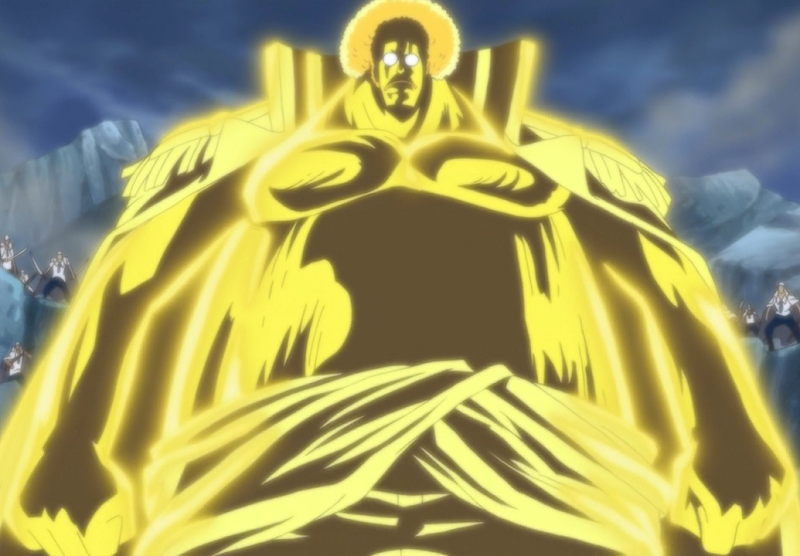 Sengoku ate the “Hito Hito no Mi, Model: Daibutsu”, a rarer-than-Logia Mythical Zoan-class Devil Fruit which allows him to turn into a gigantic Daibutsu. This ability gives him a massive power boost to his already impressive strength, enough to cause the execution stand to collapse in one indirectly connecting punch, despite the combined effort of Luffy’s Gear Third and Mr. 3’s Candle Wall to absorb the attack. He can also launch an explosive shock wave with a palm thrust, enough to send a majority of the Blackbeard Pirates flying a fair distance. 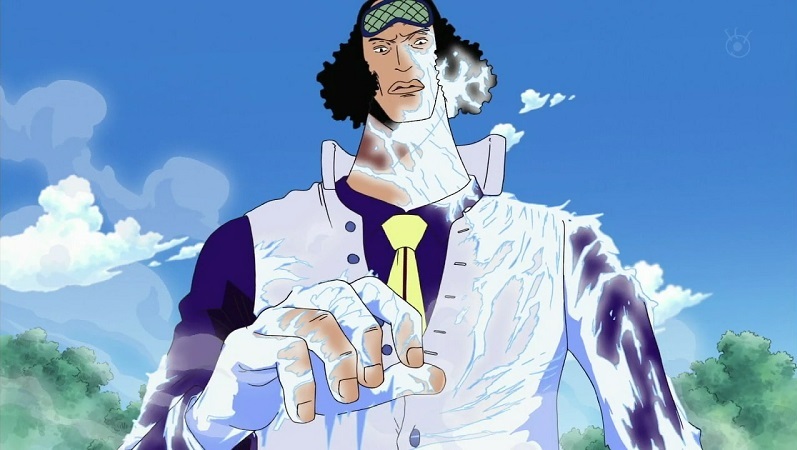 The fact that Mihawk used to be a rival of one of the Yonko implies that Mihawk might be one of the strongest characters in the series. Infact he has been known to have frequently fought with Shanks when they were younger. Their battles were said to shake the whole of the Grand Line and Mihawk often sought Shanks out for duels. However, Mihawk lost interest in him after Shanks lost his left arm. 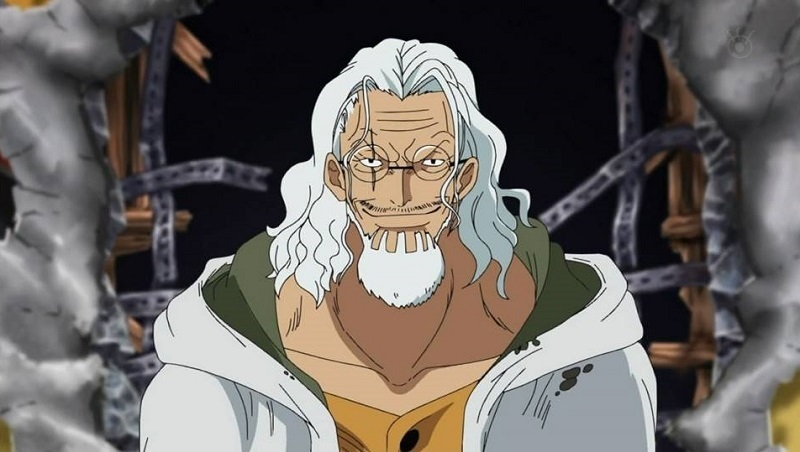 Silvers Rayleigh, also known as the “Dark King”, is the former first mate of the Roger Pirates, known as the “Right Hand of the Pirate King. 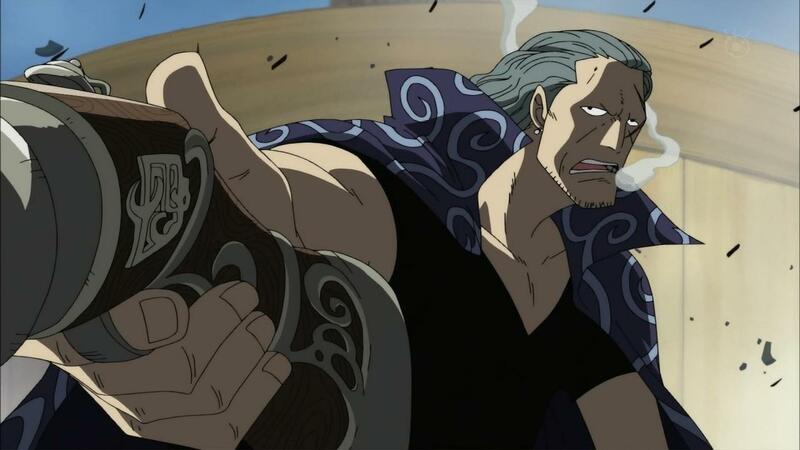 Rayleigh is extremely powerful, easily one of the strongest characters introduced. He could intercept Kizaru’s attack when the Admiral was about to kill Roronoa Zoro without Kizaru noticing, and also managed to keep up with his light enhanced speed. Rayleigh is one of very few people who can use all 3 types of Haki: Armament Haki, Observation Haki and Conqueror’s Haki. 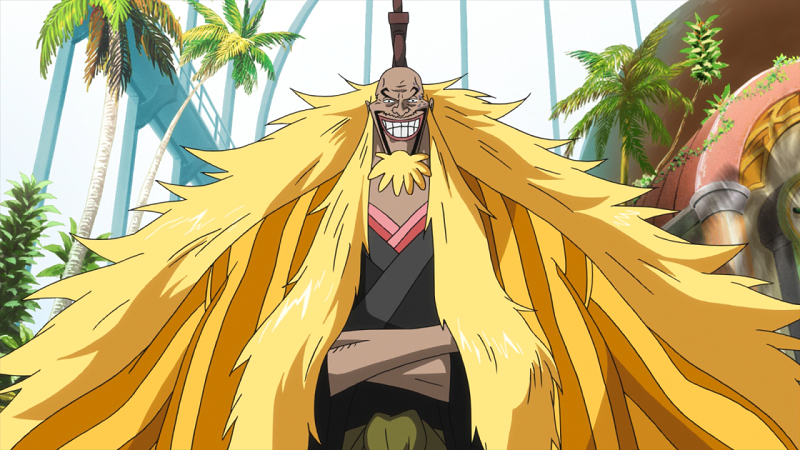 Rayleigh infact has shown to possess great mastery of Haki, and made use of all three types while teaching Luffy about them, and training him in the basics. Shiki is the Admiral of the Golden Lion Pirates. Shiki is the first prisoner ever to escape from Impel Down. After he amputated his own legs to break free of Sea Stone Shackles, Shiki forcefully grafted his swords into the inner stumps of his legs. He is also capable of attacking from a distance with them, by sending slashes from his sword legs in a Rankyaku like fashion. Shiki ate the Fuwa Fuwa no Mi, a Paramecia type Devil Fruit which allows him to make surrounding non-living matter levitate once he has come in contact with it. He uses the surrounding environment against his enemies, shaping earth or snow into giant lion heads and launching them towards his foes, or even making water float to drown his opponents in it. 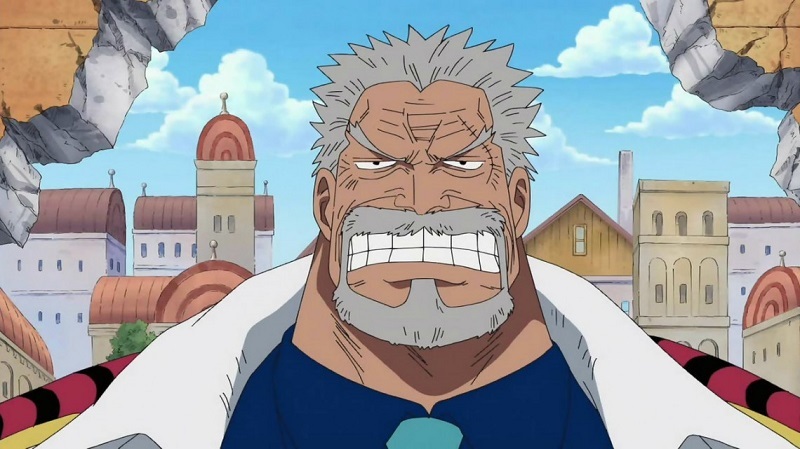 Monkey D. Garp is one of the most powerful Marines seen in the series so far. He’s a Marine vice admiral and also a “hero” of the Marines, and as such is known for cornering and fighting Gol D. Roger many times. Roger also stated that he and Garp had almost killed each other on numerous occasions. As another true testament of sheer power, Garp defeated and nearly killed Don Chinjao in the past with a single punch, whose bounty was worth over 500,000,000 Berries in his prime and was said to be able to split a continent with a headbutt. The extent of Garp’s power and fame is evident round the time of the Battle of Edd War, three years before the future Pirate King died. 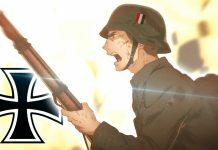 It was revealed that he was offered the promotion to the rank of admiral more than once, but repeatedly refused the promotion. Monkey D. Dragon is the infamous leader of the Revolutionary Army who has been attempting to overthrow the World Government. He is the World Government’s greatest enemy and is the most dangerous and most wanted man in the world. 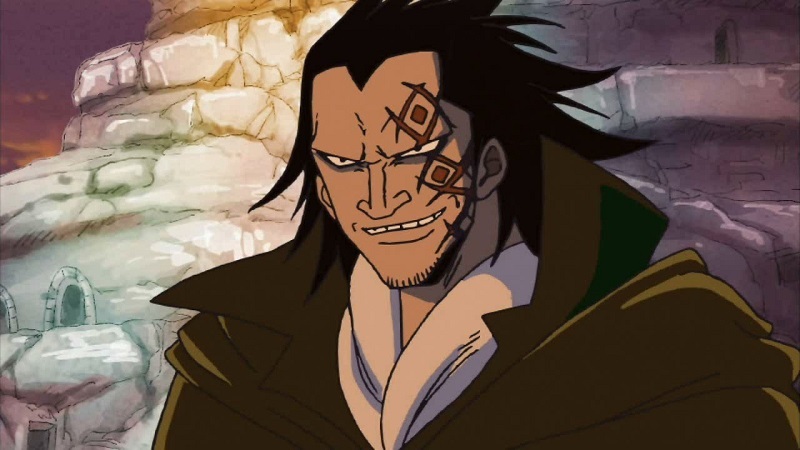 Dragon is already a powerful threat in his own right, as well as having powerful subordinates such as Sabo, Ivankov, Bartholomew Kuma, and Inazuma who are in comparison, lower in rank. This only speaks volumes of Dragon’s true power. 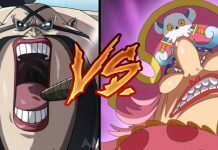 Big Mom can utilize and has shown mastery over two types of Haki: armament Haki and Conqueror’s Haki. Big Mom has acquired the powers of the Soru Soru no Mi a powerful Paramecia-type Devil Fruit that allows her to manifest the soul of whomever she touches into an ethereal substance. She can put harvested souls into non-living things in order to give them life or into animals in order to give them human abilities. Those creatures are named Homies. 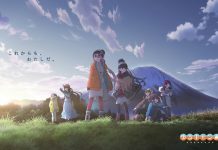 She can also use fragments of her own soul to create Special Homies that are far more powerful than ones created with other people’s souls: Zeus, a thundercloud she summons with her left hand; Prometheus, a sun she summons with her right hand; and Napoleon, a bicorne she wears on her head. 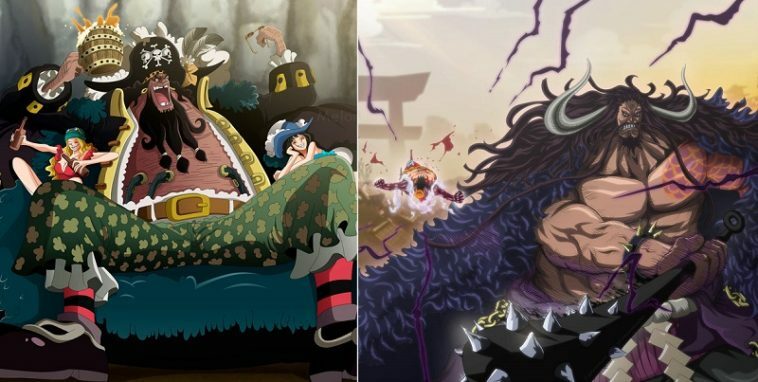 Kaido of the Beasts is the captain of the Beasts Pirates and one of the Yonko. 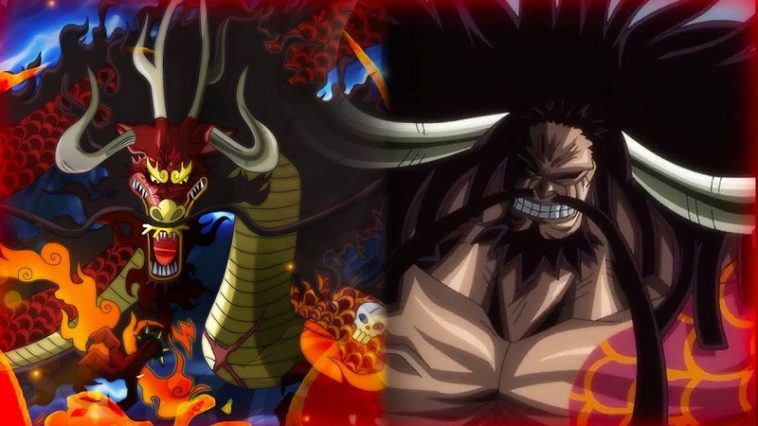 As one of the Yonko, Kaido is among the strongest pirates alive, renowned as the “Strongest Creature in the World”. He attempted to take Whitebeard’s life, something few would dare, and subsequently clashed with Shanks. 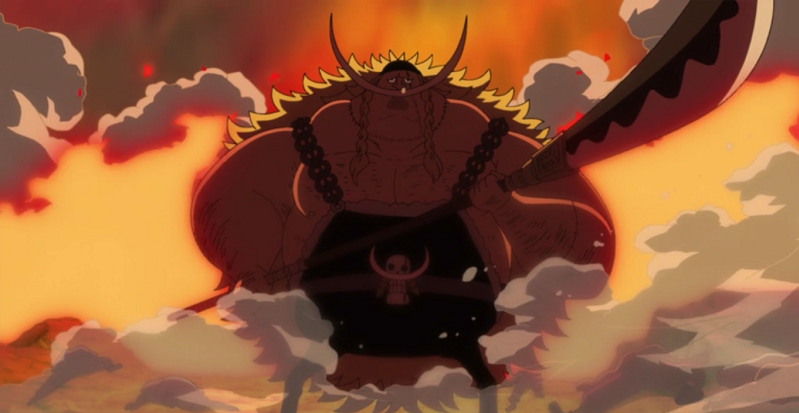 When Gekko Moriah was in his prime, Kaido fought him and emerged victorious, having killed his entire crew. In Wano, Kaido defeated Luffy with just one hit! Kaido appears to have eaten a Zoan-type Devil Fruit that allows him to turn into a serpentine dragon. Kaido has tremendous physical strength, but the greatest sign of his strength is his apparent inability to die due to his tremendous toughness and durability. He has been caught and tortured 18 times, and people as powerful as the Marines and other Yonko have attempted to execute him 40 times only to fail as Kaido survived every single attempt because every single execution weapon broke when being used on him. Most notably, Kaido has jumped from 10,000 meters from the sky onto the ground, creating a massive shockwave strong enough to sink a large ship nearby, and emerged only with a headache; it has even become a hobby for him to attempt suicide, only for it to fail. 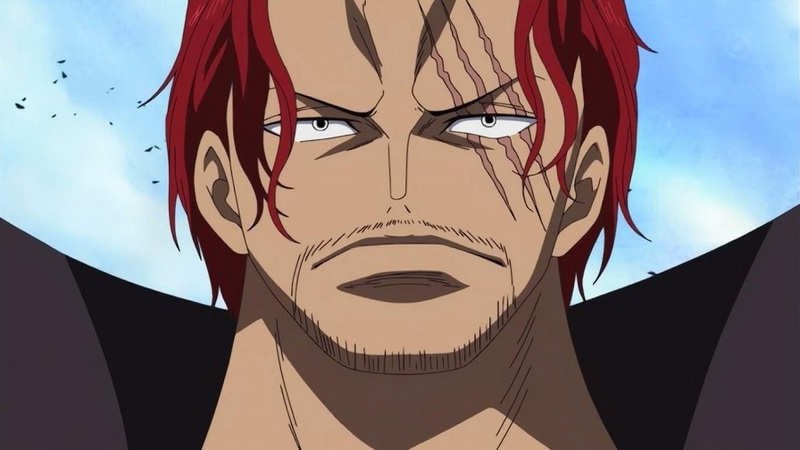 “Red-Haired” Shanks is the captain of the Red Hair Pirates and a member of the Yonko. Shanks’ full fighting potential hasn’t been explored yet but there is a lot of hints that indicates Shanks is an extremely powerful individual. For starters, he was able to scare off a massive Sea King just by staring at it (until we figured out he used Conquerors Haki: the strongest form of Haki). He also clashed evenly with Whitebeard, a fellow Emperor and even fought another, Kaido, and arrived at Marineford without a scratch on him. Additionally, he managed to ward off Ankinu where the savage admiral seemed a bit shocked at his presence and stopped going after Luffy after he came. Most of all, Blackbeard, who had the powers of the destructive Gura Gura no Mi Fruit and the evil Yami Yami no Mi Fruit chose not to fight Shanks saying “he is not strong enough to fight him yet”. That right there makes Shanks a force to be reckoned with and definitely one of the strongest guys in the series. Akainu has an immense amount of superhuman durability, illustrated by the fact that not even two Haki/Busoshoku Haki enhanced quake-powered blows, which caused far more damage at point-blank range, from Whitebeard were able to keep him down, the one of which was powerful enough to split Marineford in two, and he was still able to fight the Whitebeard Pirates and two former Shichibukai (Crocodile and Jinbe) all at the same time. He is also shown to possess tremendous strength, as seen when he pinned Whitebeard’s giant bisento down to the ground with just one leg. 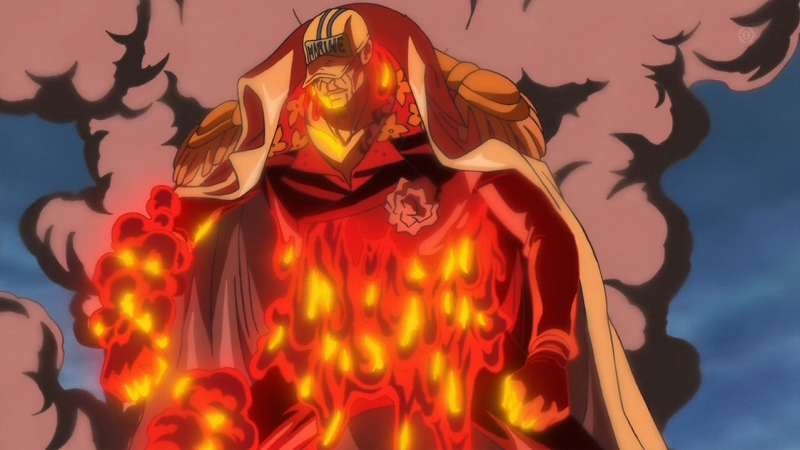 Akainu possesses the Magu Magu no Mi, a Logia-class Devil Fruit which grants him the ability to transform his body into magma and manipulate it at will, as well as produce near-limitless amounts of it. As a Logia, Akainu can let physical attacks pass through him without injury, and can only be wounded with the use of Haki and Seastone. His ability is naturally of a higher order than Ace’s pyrokinetic abilities, as the higher heat and smothering abilities of his magma allowed him to successfully harm Ace despite Ace’s Logia-defense, and ultimately kill Ace due to this superiority. 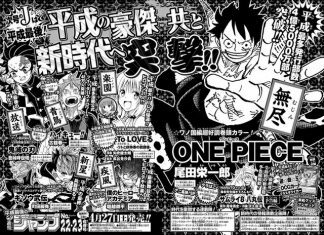 According to Oda Akainu has the most powerful attack among devil fruits!